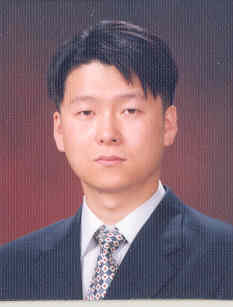 Jae-Hong Ryoo studied Medicine at Kyung Hee University School of Medicine. Following this, he completed a clinical residency in Occupational and environmental medicine, Ewha Womans University Medical Center followed by a research professor at Graduate School of Kyung Hee University, where he received his PhD degree in Medical Science in 2013. Jae-Hong Ryoo is currently a research professor at the Department of Preventive Medicine, School of Medicine, Kyung Hee University. Jae-Hong Ryoo has published 21 SCI and SCIE papers in well-regarded journals as a first or corresponding author in addition to many domestic scientific papers. Jae-Hong Ryoo is now also serving as a journal referee of well-known peer-review journals in the field of hepatology and endocrinology. My major research interests include metabolic diseases. This area includes Epidemiology of metabolic diseases, as well as prevention and public health control measures. The approach of metabolic diseases represents the greatest challenge. In addition, many studies for metabolic diseases are successfully investigated and published as article.